Today, a plenty of companies have Business Intelligence software solutions integrated into their environment. Though providing great business opportunities, some of them still haven’t taken advantage of BI in Human Resource Management. In this post, you’ll find how to benefit from BI and HR joined together. Representing the core of each business, Human Resources are definitely a big deal for every company. HR is about establishing relationships, creating stable business culture, and enhancing employee performance. However, there are such complex challenges as data analysis and visualization, decision-making process, and workforce management, that require time, efforts, and accuracy, with Business Intelligence it is like a piece of cake. HR handle large amounts of employee data: profiles, work histories, salaries, skills, education, benefits, and compensations. But what about transforming this data into right decisions, high performance, and boosted productivity? The connection of BI and HR is the answer. By implementing BI solutions, companies can meet the best candidates with required job positions, improve HRM, and create successful business culture. Now, let’s take a deeper insight into the use of BI tools in HR sphere. 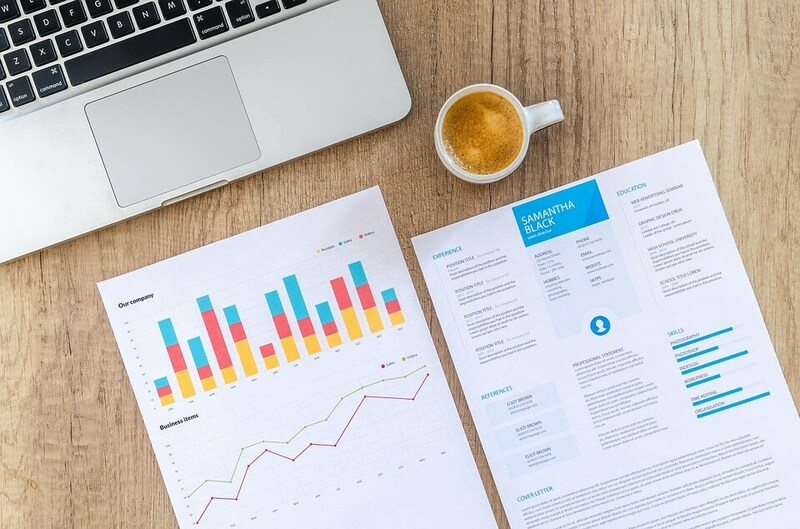 First, HR teams can make prompt and smart decisions according to the factual information revealed by data obtained from the market, social media, and other sources. It excludes the probability of making decisions based on uncertain presumptions. Second, BI solutions provide HR managers with access to substantial employee data that can improve the recruitment process efficiency. Concerning the issues of data confidentiality, information security, and personal identification, you can integrate a security system that will create total anonymity for employees and potential candidates. Third, a lot of useful details can be learned from benchmarking. BI tools connect to HR analytics by identifying enhancements, enabling to raise income and compare the benchmarks. With intelligent analysis of general skills, career progress, absenteeism, etc., a BI system can provide fair remuneration based on smart employee evaluation, career ladder prospects, and useful training tips. Therefore, by using BI tools your team will be able to leave competitors far behind. In the long term, the growth in the business efficiency will turn into a reduction in operational expenses. Speaking of employee hiring, education, and progress tracking, check out our project, a complex learning management system that ensures quick onboarding and successful in-house staff training. Not long time ago, HR data analysis was only available to specially trained experts with peculiar competence and skills. Nowadays, interactive and user-friendly BI applications make it much easier to come to grips with. If used efficiently, BI tools provide fine tooth reports regarding the best and worst performers, which makes it easier for the company to define the employees seeking extra support and training. With the help of modern BI applications, you can visually observe the interactions of your employees, their progress, and domain expertise. What’s more, past events can be replayed, employee mood can be tracked, all-in-all you can obtain insights into all human activity across the company. Alongside, BI software solutions help to perceive company’s privacy comfort zone which is different in each one. Defining the privacy comfort zone within the company can facilitate decision-making and remove any anxiety as regards privacy issues. For sales and business development, BI tools are indispensable. Sales managers should always know which employees have well-knit relationships with executives prior to meeting with clients and those who best perceives the main objectives of the meeting. Data on education, skills and past performance of employees, for example, can assist a company in identifying the overriding potential within the company and ensure HR keeps it. Sick days and holidays can be easily tracked – to get helpful information and analyze why and when employees are absent. Furthermore, managers can organize a secure area for discussing сorporate culture and encourage employee feedback in order to increase transparency and downsize the threats of sneaking. Besides HR, Business Intelligence can solve a wide range of issues, including improved marketing, customer service, boosted sales, the creation of an effective reporting system… Explore them all in our post “Challenges you can solve with Business Intelligence software solutions”! It is as sure as eggs are eggs that BI can take your management, recruitment, workplace, and employee satisfaction to the next level. HR can use BI to improve outcome across the whole company and this synergy will lead to success. As nowadays companies are in constant search of new options allowing to stay in tune with changing tough market conditions, BI solutions represent a great way to get a competitive advantage. Being experts in custom mobile and web app development, especially in delivering successful BI applications, we are ready to offer you smart recommendations. If you have some questions or a project idea, apply to us and get a free consultation!